FYI: I added a few affiliate links within this post, which means I may receive a small commission if you make a purchase using the link. My husband and I have been homeowners for six years now and it has been an overall great experience. We bought a fixer upper with everything in working condition, but very dated. Everything except the kitchen appliances, furnace, and roof, was the original products from when our home was built in 1964. I'm glad to say that we have made a lot of updates. 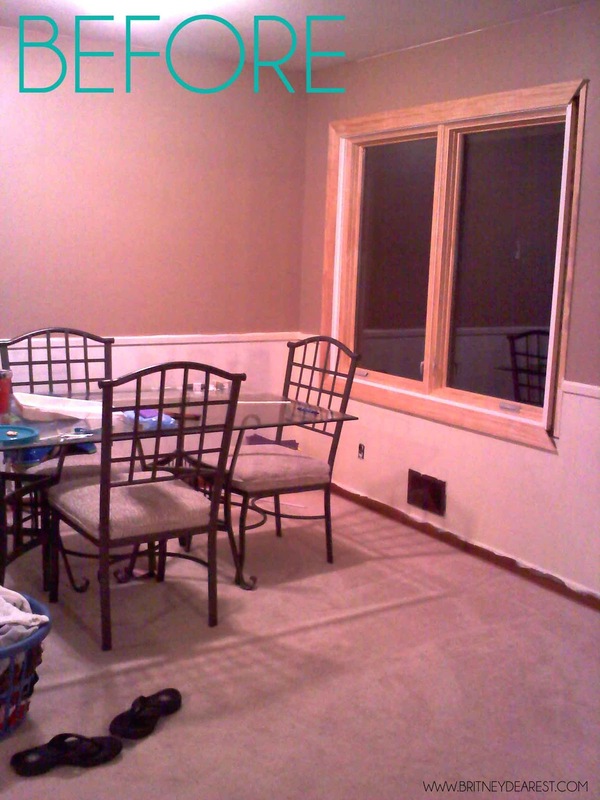 One of which, is coming along great and nearing completion is our dining room. In this post, I'll take you through our humble beginnings to where we are now. We purchased the home knowing everything would take time and money, but I didn't expect to become so impatient while waiting to save up for each project. I have to keep reminding myself that even though our home is unfinished, we are very fortunate. 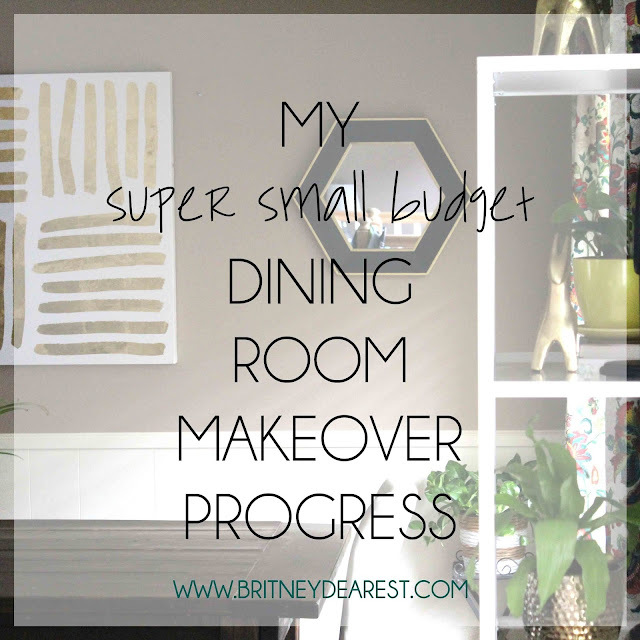 My overall goal is to create a space that is family friendly, comfortable, fun, and of course gorgeous. I don't know exactly what I'm doing, but I know what colors I want. I know my decor style (preppy/eclectic/glam). Natural wood and plants are a must. I have read a couple of interior design books this year and joined a few Facebook groups for advice and ideas. I haven't planned anything until recently (you'll see below). I have pretty much been going with the flow, which has led me to buy and return things more than I would like to admit. Because of my budget, I have to be flexible with what I chose to buy. I can't afford to purchase everything I want within a month's span, so for the past few months, I have been slowly acquiring pieces that fit my decor style and my budget. I'll share details as we go along! This image was taken the day my husband installed a new window. -Dark brown wood paneling. In the above image we had already primed it to prep for painting. Below, you can get an idea of what it looked like prior. 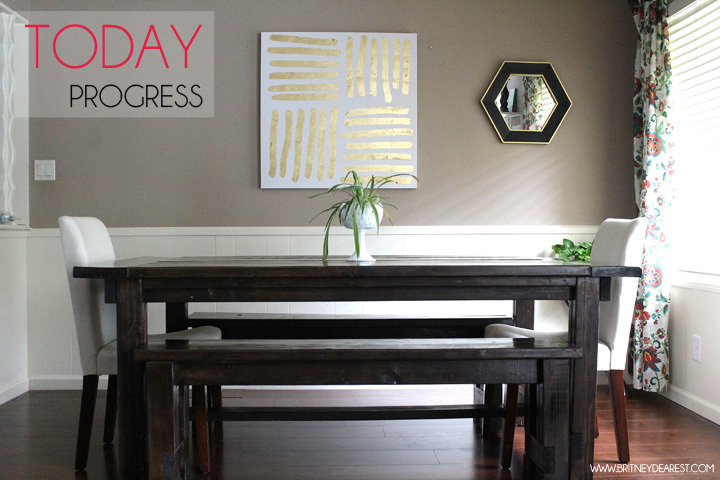 This is what the paneling looked like in our dining room prior to painting it off-white. 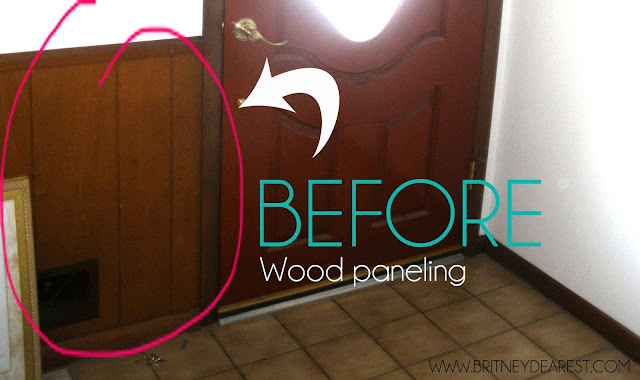 The paneling pictured above went from our entryway into the dining room. Our family room walls were covered with paneling from ceiling to floor. I'll share before and after images of that room in a later post. This image above was taken weeks after the installation of the new window. 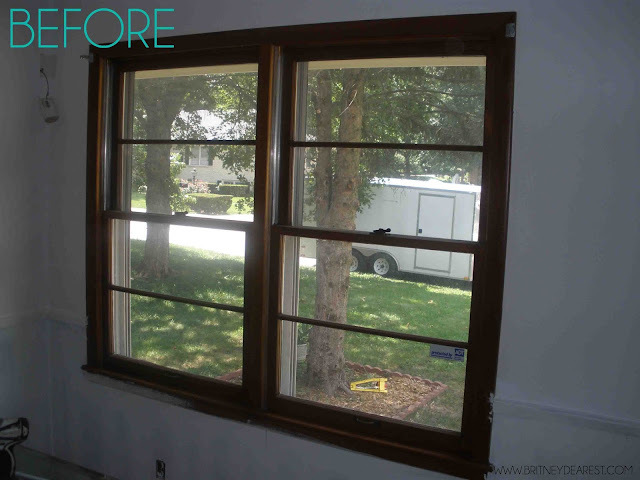 As you can see, we painted the walls, but the new window trim needed some TLC and the baseboard needed to be replaced. -The trim and baseboard were completed. -We swapped the carpet for laminate flooring. You can see the before and after process HERE. A few years ago, I cooked dinner and invited the family over for my mother's birthday. The framed image pictured above hung there for about five years before I decided to sell it. At the time I sold it, I wasn't sure exactly what I wanted to do in the dining room, but I knew that picture wasn't a good fit. I wanted to go more towards a colorful and eclectic glam look with natural features (e.g. wood and plants). After that was sold, a mirror hung in its place for a few months. Earlier this year I decided the mirror would better above the dresser in my bedroom, and it does :-). Now... The lighting in my home isn't best, so the image quality isn't great. You can see the process of my husband building our table HERE. He finished the benches a couple of months ago. We used metal folding chairs before the benches were complete. I have changed the top shelf so many times. I'm settling with its current setup until I come up with something better. The sunburst mirrors are from Target. I have had them for a couple years. I spray painted them gold. They originally had a rustic silver tone. The room still looks unfinished, however, I'm hoping I'll have it completed within the next couple months. I used Walmart Savings Catcher to save up for these babies, so they will be FREE.99! :-) I'll order them this week sometime. I wanted the same shape decor as the mirror to kind of balance things out. The next time Hobby Lobby has 50% off candle holders, I'm in there! 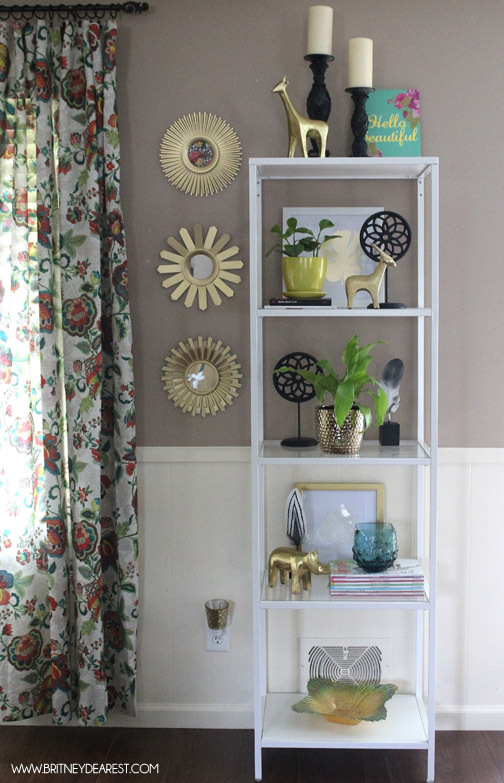 -The white and gold canvas ($15) and hexagon shaped mirror ($9) were both purchased from the Hobby Lobby clearance section. I plan to help my husband make a black canvas frame to add a little more detail. 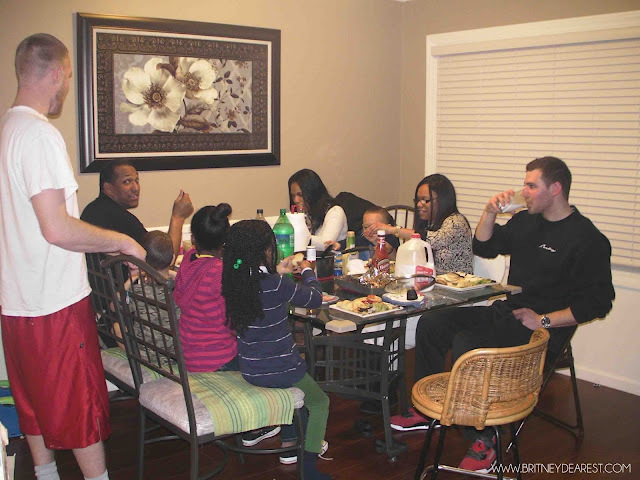 -The white chairs were purchased at a flea market a couple years ago for $20 each. -The curtains are actually tablecloths. I purchased each for $11 at Old Time Pottery. So, how did I do? Do you have any past or present home interior plans that have been taking awhile to come together? I'm genuinely curious! Share below. Thank you so much stopping by! I hope you enjoyed. Come back again! I say it looks great! A work in progress! It's very humbling to see that you admitted and showed us the flaws and truths behind your renovation as it gives me and others hope who have strict budgets but very vivid remodeling plans! I love it! And cannot wait to see the finished project! Don't give up! You are doing an awesome job! I need to recreate some art like that for mine. I see a quick art project in my future:) Thanks for the inspiration! I love it! You're very creative! You did an awesome job!! I love that table! 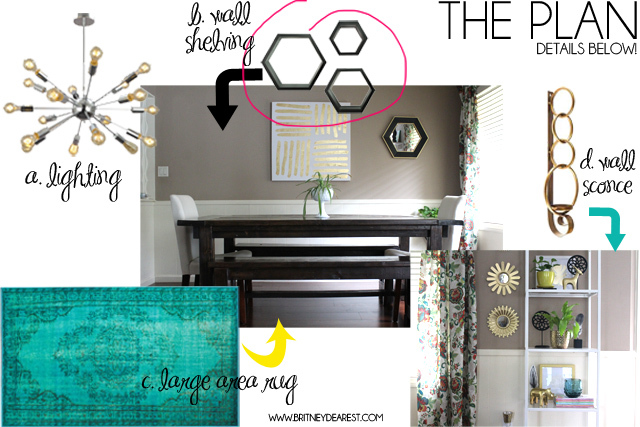 I will be moving into a new house in a few months and I want my place to look like the model....on a budget! You guys are doing a great job and it looks amazing. I have zero patience so I needed a home that is move in ready. Now seven years later and we've still not fully decorate our home. 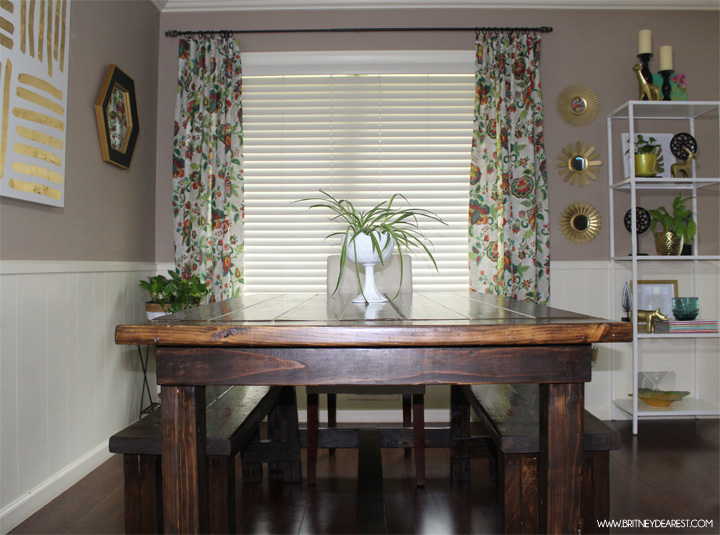 Our dining room needs a look. You guys did a great job. I need to do my apartment over so bad. Pinterest has been bae. Thanks for sharing and bringing me new ideas. Great job! I love Hobby Lobby. The paint choice is perfect. It's going to be so fabulous when all done! The room is coming together really well! I love the color on the walls, it really makes it look elegant. Girl you did that! 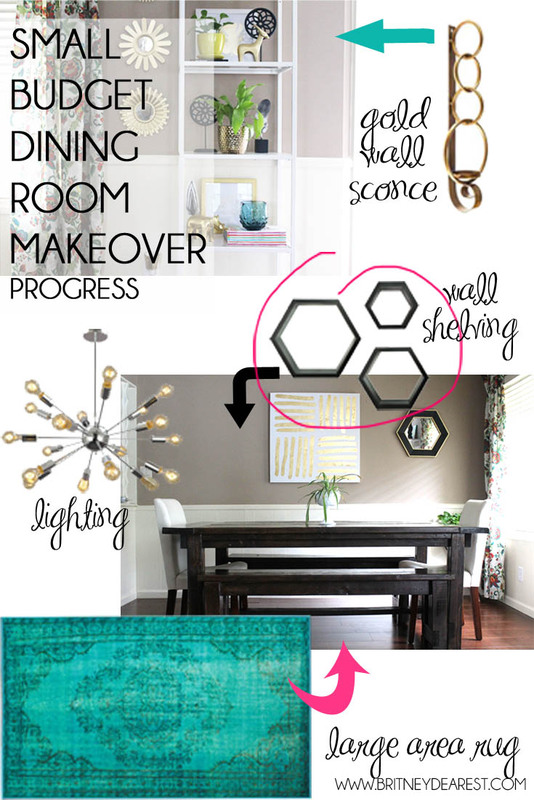 I love it so chic and yeah it looks like a whole new dining room! You brought it to life and I love the gold accents!